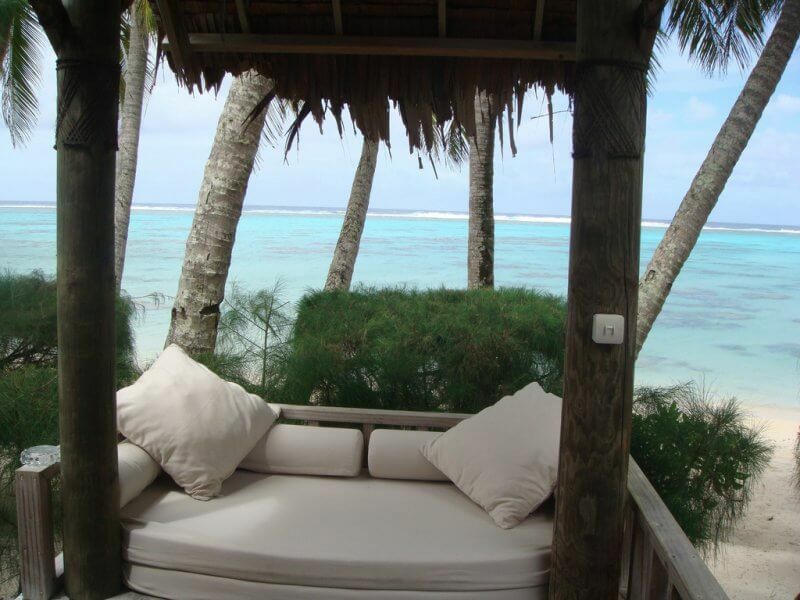 The Little Polynesian Resort has only ten beachside and four garden bungalows.Each of the Beach Ares comes with its own private gazebo and daybed overlooking the white sandy beach of Titikaveka. 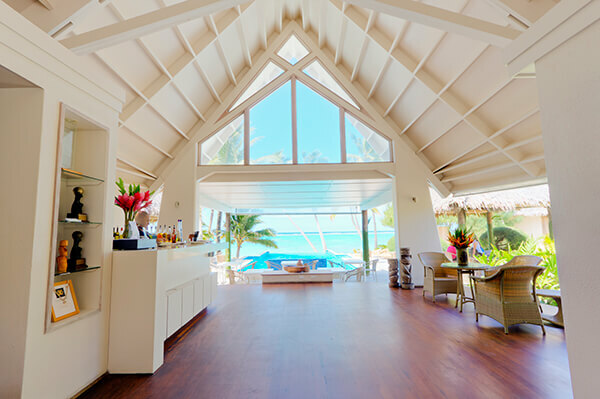 Inviting king size beds also face the lagoon while out-door showers, spa tubs under the stars, pre-stocked bar fridges and champagne on arrival can all be a part of the Little Polynesian experience. 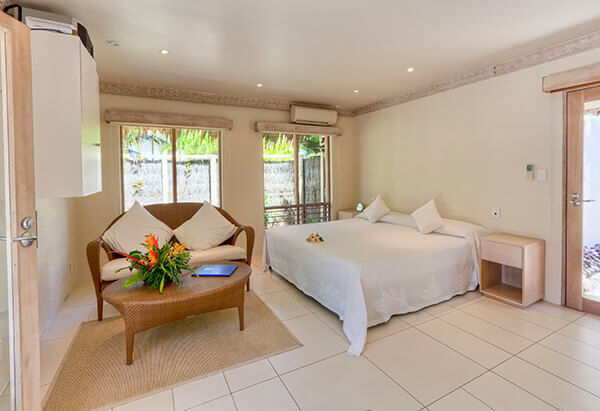 Each Pia Tiare is a spacious, studio size unit. 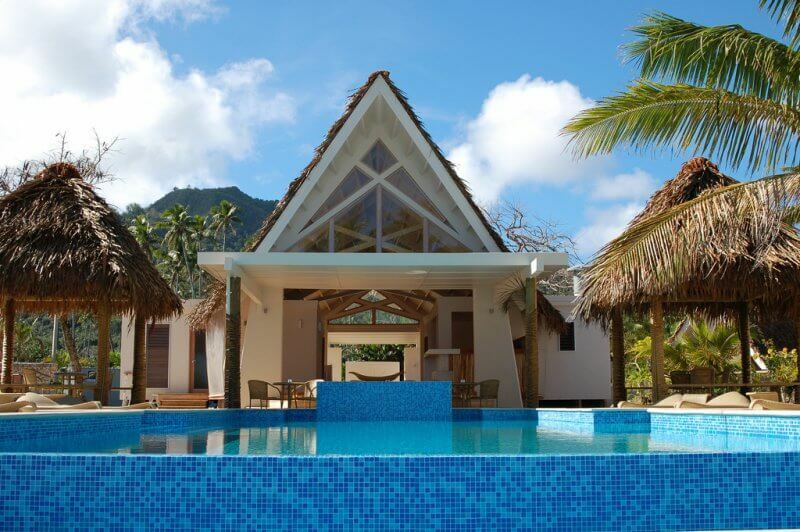 Constructed as part of a duplex, they are also designed with unusually high roofing, a long but almost forgotten trademark of traditional Cook Island architecture. 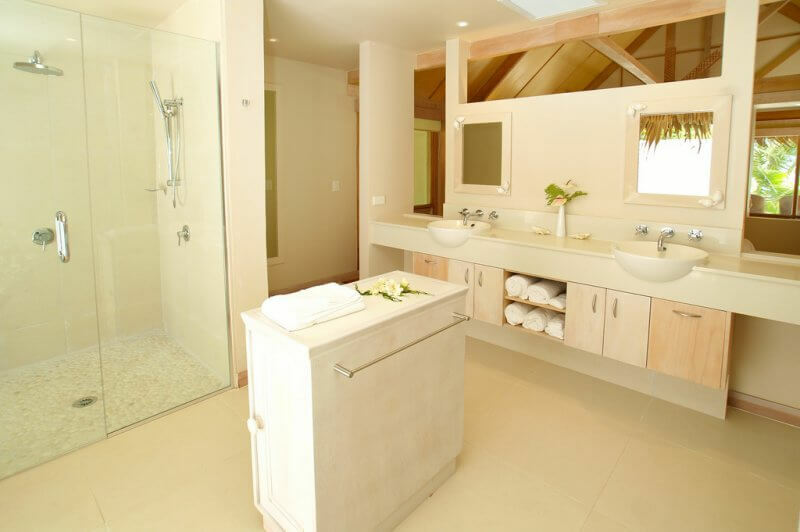 Like the Beach Ares, each is equipped with a spacious king size bed, outdoor shower and spa tub and bar fridge. These units also feature a 2 gas burner, microwave and toaster for additional cooking options. There is a café with bar services, serving healthy salads and bistro style lunches as well as light evening meals.